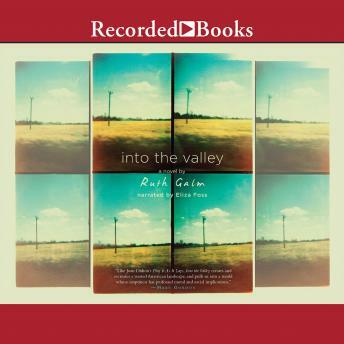 Ruth Galm's spare, poetic debut novel, set in the American West of early Joan Didion, traces the drifting path of a young woman as she skirts the law and her own oppressive anxiety. Into the Valley opens on the day in July 1967 when B. decides to pass her first counterfeit check and flee San Francisco for the Central Valley. Caught between generations and unmarried at 30, B. doesn't understand the new counterculture youths. She likes the dresses and kid gloves of her mother's generation, but doesn't fit into that world either. B. is beset by a disintegrative anxiety she calls "the carsickness," and the only relief comes in handling illicit checks and driving endlessly through the valley. As she travels the bare, anonymous landscape, meeting an array of other characters-an alcoholic professor, a bohemian teenage girl, a criminal admirer-B. 's flight becomes that of a woman unraveling, a person lost between who she is and who she cannot yet be.